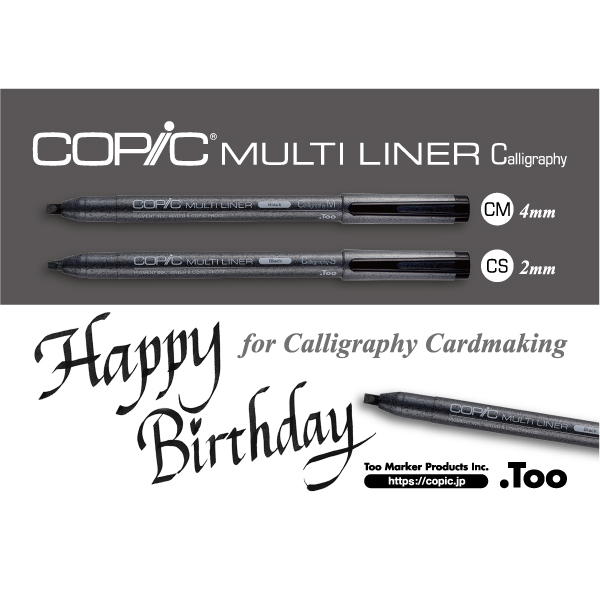 The new Copic Multiliner specially developed for calligraphy/card making purposes! Ink does not blur on the paper and offers a wide range of representation from sharp fine lines to wide lines, and blurred lines. The most used linewidths in calligraphy. Ideal for intricute, detailed expressions.